We all know the importance of backing up, but how many of us actually do it? 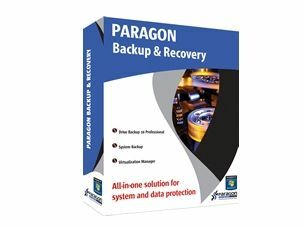 To stop you losing your precious files in event of a PC meltdown, we're bringing you a free download of Paragon Backup & Recovery 10 Compact, worth $39.99. Paragon Backup and Recovery is a fast, feature-packed and highly professional back-up tool that makes it very easy to protect your valuable data from disaster. This download is available until midnight of Tuesday 19 January 2010.